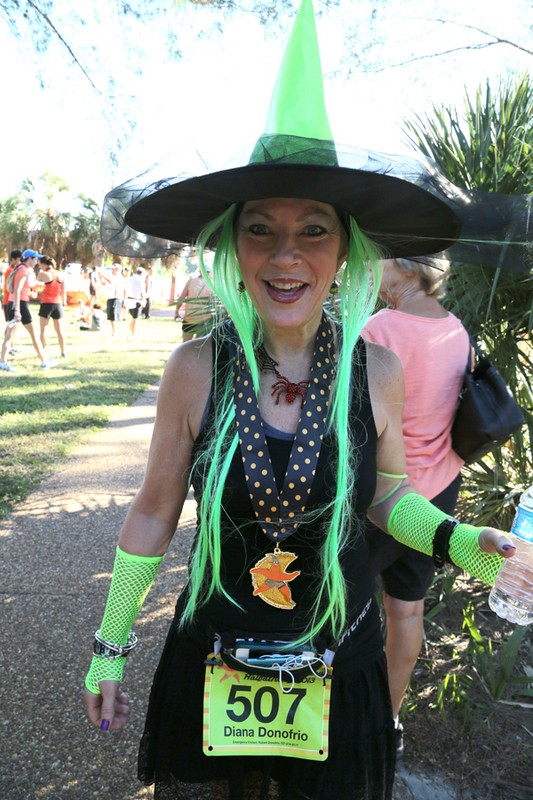 Join us for a howling good time at the 11th Annual Halloween Distance Classic, faeturing a halfathon, 10K, and 5K, and scheduled for Sunday, October 27, 2019, at our nation's favorite beach: Fort De Soto Park, just south of St. Petersburg. Costumes are encouraged, but not mandatory! 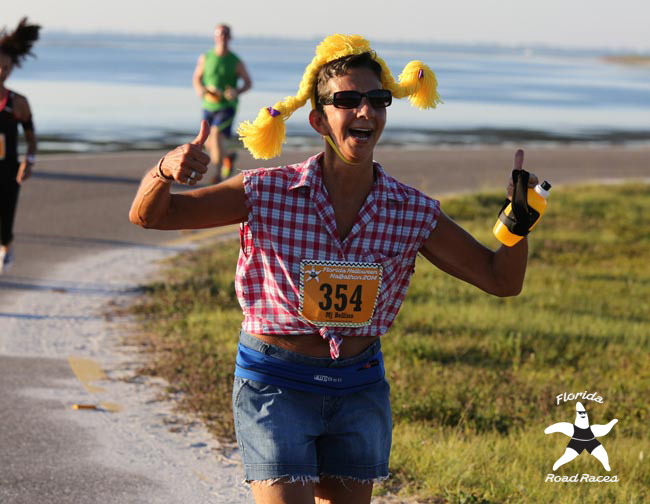 The halfathon and 10K courses start with a loop for the first 5K before a out-and-back tours of Ft. De Soto Park to coplete the appropriate distances. 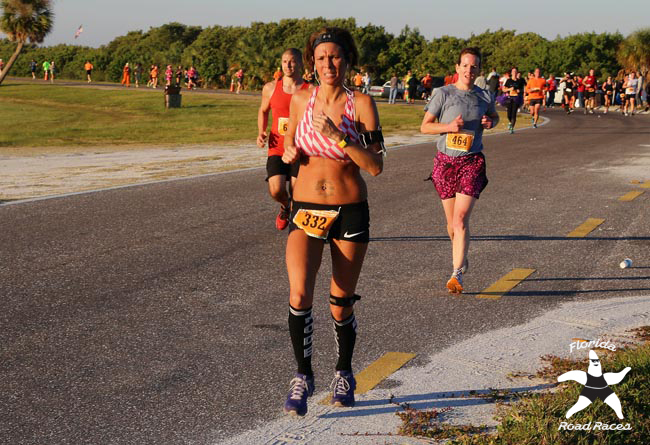 The aforementioned 5K loop comprises the 5K race. 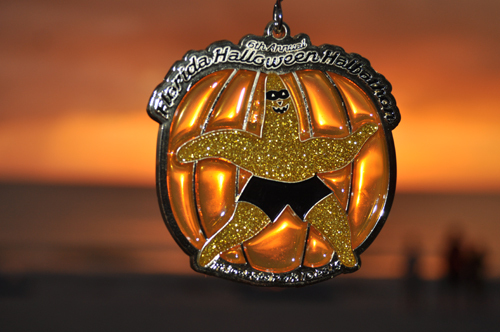 All finishers in each race earn unique, Halloween Starfish medals. In all three races, awards are up for grabs for M/F Open, Masters (40+) and Grand Masters (50+), three deep; age group awards offered three deep in 5 year increments. 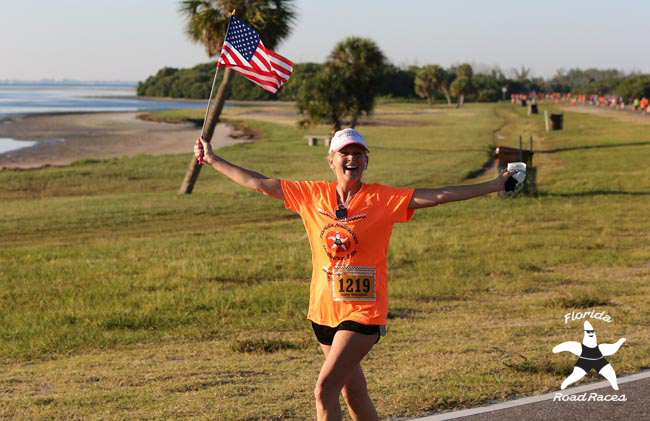 Eight aid stations for the halfathon, three for the 10K, and one for the 5K, await you with enthusiastic volunteers, water and Gatorade, and fresh Florida oranges starting at the midpoint of the half marathon. 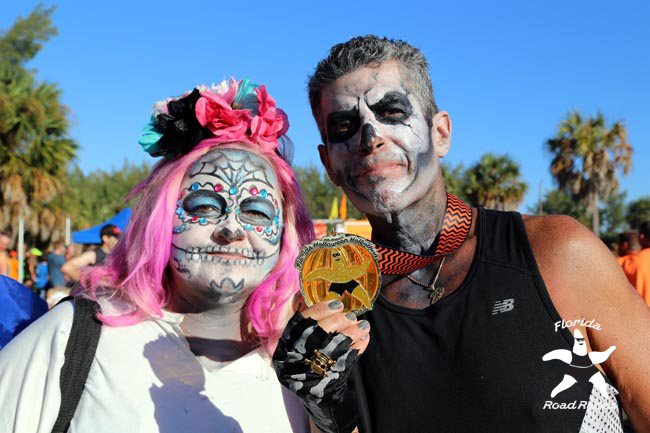 Halloween costumes are encouraged, but not mandatory, and we offer costume awards in multiple categories. 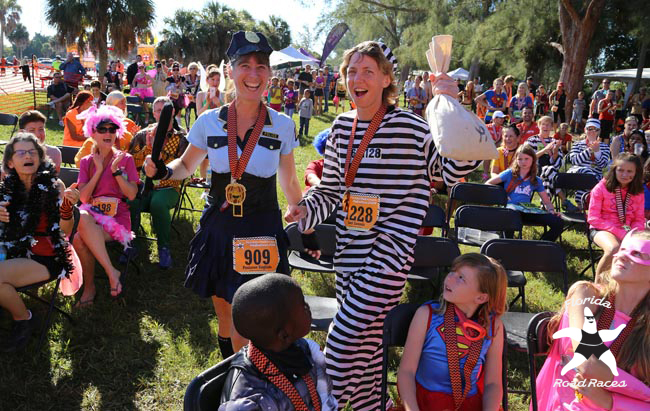 While we don't anticipate any athletes in gorilla costumes completing 13.1 miles, we do hope athletes will create costumes that will not adversely affect their running. That's our challenge to you. Or simply wear mismatched uniforms. Or orange and black. Celebrate this unique holiday tradition! 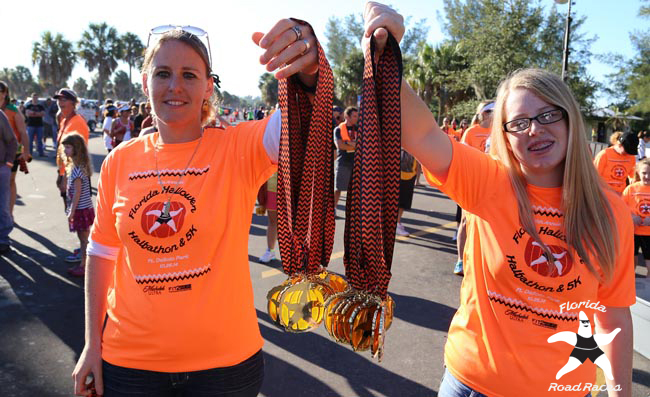 Walkers are welcome to join these races. Course support is based on a 3:30 finish time. Due to our staging of this race entirely within a park and primarily on nature trails, we will NOT be offering an early walker's start. 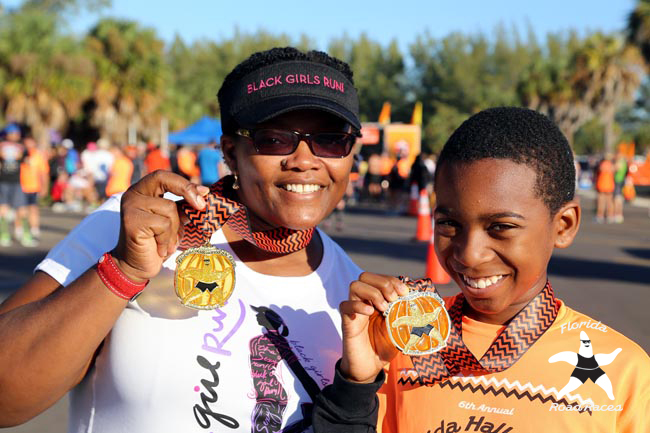 All athletes will start at the same time in their respective races. 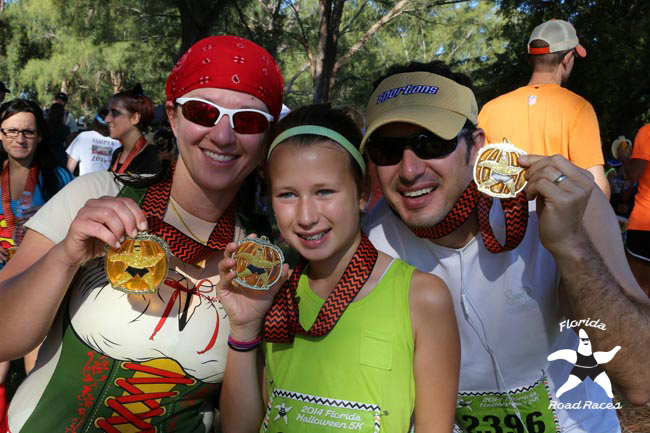 Early entrants who register by July 27 are eligible for complete refunds of entry fees or deferral to another upcoming race - athlete's choice. 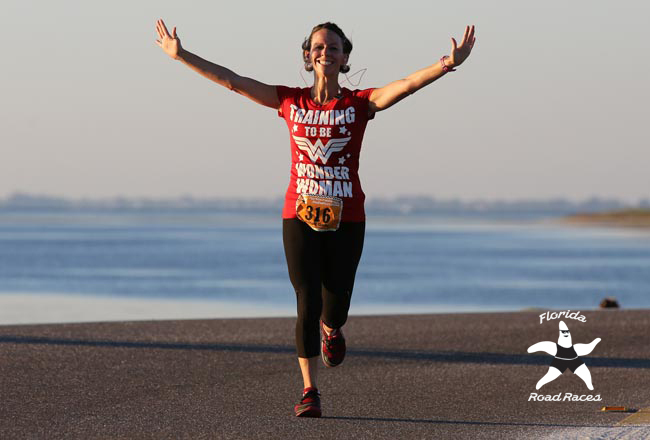 There are no refunds, transfers or credits, unless you register by July 27, AND notify the race director of your withdrawal at least THREE weeks prior to the race. 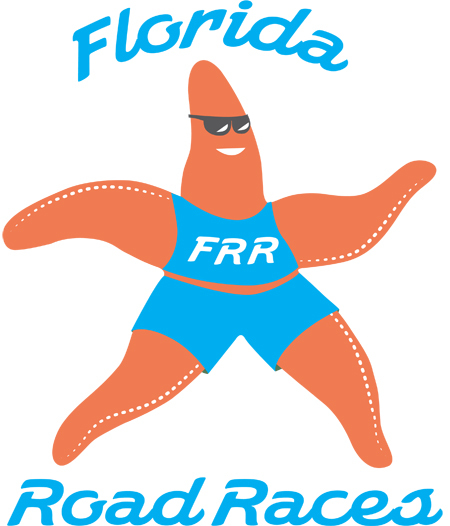 ALL refund checks from ALL races will be issued at the same time - after our Shamrock Halfathon on or about April 1, 2020.